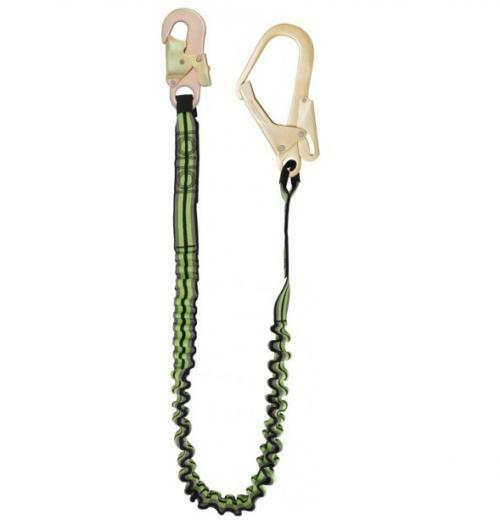 The Kratos Restraint Expandable Webbing Lanyard is a lanyard that features 44mm elasticated webbing with a scaffold hook on one end and a snap hook on the other end. The lanyard is 2 meters in length after extension and is only 1.4 meters in length before stretching. 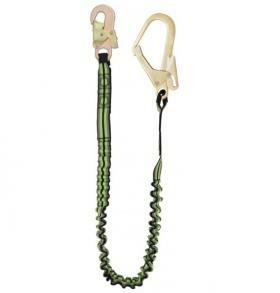 The flexible nature of this lanyard is ideal for use where there is a possibility of tripping over easily. The Lanyard has a breaking strength of 22kN and the lanyards loops are protected by abrasion resistant webbing.